Are you happy with your salary in Singapore? 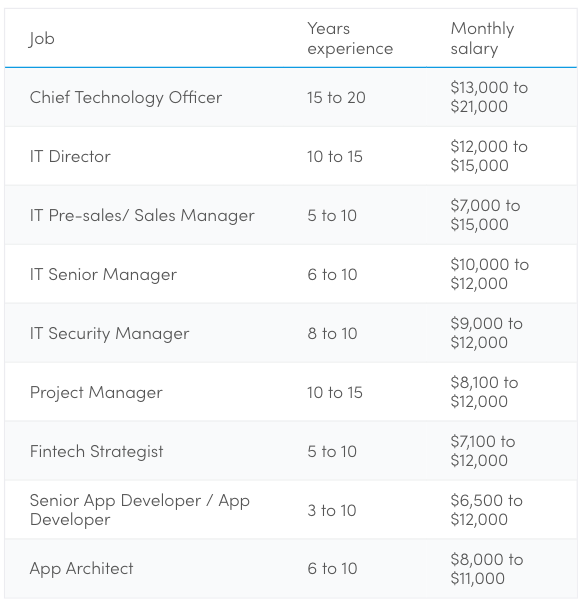 Rhetorical question, I know… But if you are happy with what you're making, you might want to close this tab because you're about to feel jealous of these 38 jobs where people can make above $10,000 a month. 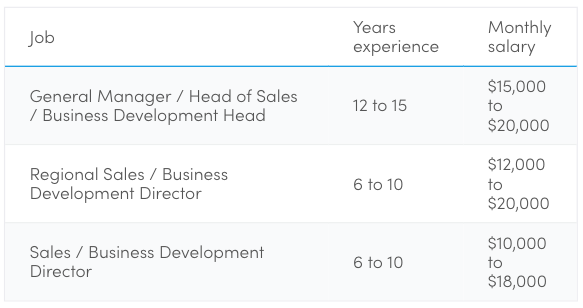 I'm not just talking about the usual suspects like CEOs, but also regular people with just 5 or so years of working experience. Don't believe me? 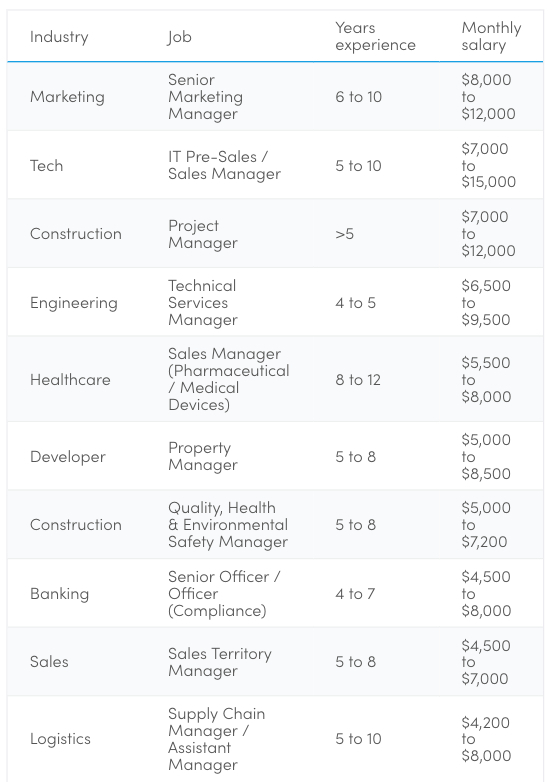 Check out the following list of highest paying jobs in Singapore, split by industry. Think accounting is only for boring people? Just remember that those drab-looking accountant OLs who visit your office once a year are probably earning more than you. Obviously, banking is a high paying industry in Singapore, as it is everywhere else. Why else do you think the CBD has so many overpriced gyms and eateries? Unfortunately for NTU EEE grads who were told that engineering is a good field to work in, the salaries of engineers in Singapore are pathetically low. 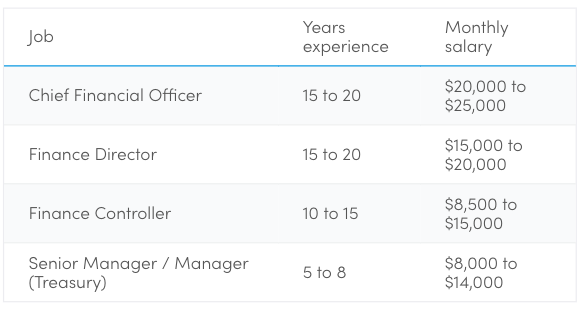 In fact, a construction project manager can earn way more than a senior engineer. We've heard enough horror stories of Singaporeans whose minds and bodies were broken by the legal profession, and yet the prospect of earning $27,000 a month (someday!) is enough to lure countless youngsters into the gaping maws of law school. Just remember that your working hours are probably double that of a normal person's. Apart from free breakfast cereal and a dress code of hoodies and jeans, the other great perk of working in tech is the pay. It's second only to banking & finance in the number of high paying jobs available. 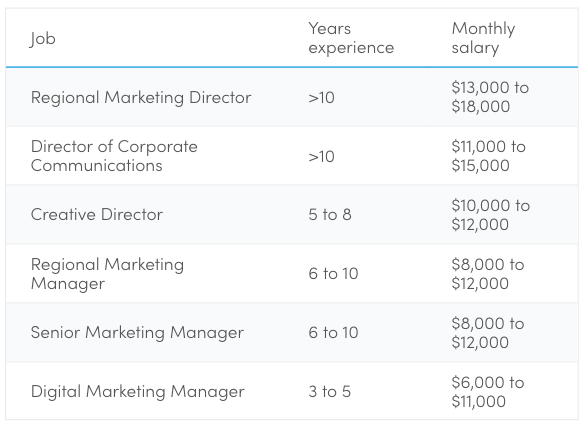 No one ever tells their children to study hard so that they can become a marketer when they grow up, but marketing is actually a relatively high-paying field in Singapore. Specialising in digital marketing is a big plus. You know that section in the Straits Times' Sunday edition where they feature some wealthy person who's made in big in life and now owns 3 houses and 5 cars? It's always inevitably a property or insurance agent. 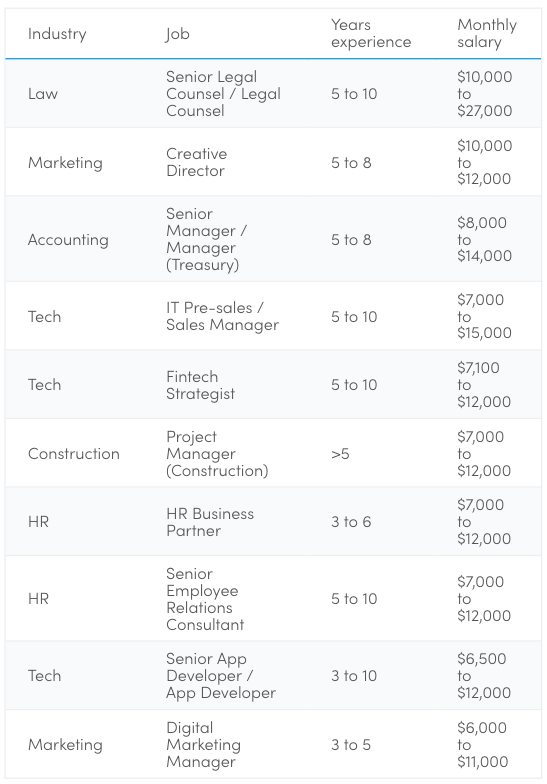 So it's no surprise that some of the highest paying jobs in Singapore are found in sales. 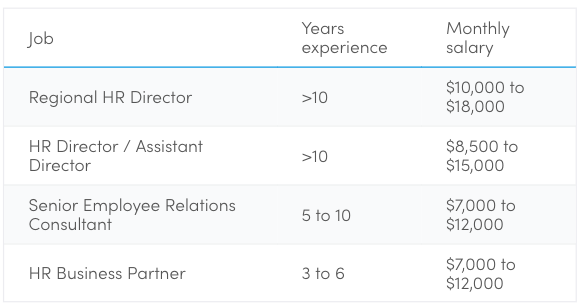 Salaries in Singapore are often commensurate with the numbers of years of experience you have - but it's not always the case. In some industries, you needn't wait till you're 50 to get a high salary. The following jobs are ones where you have a chance of earning more with less working experience. 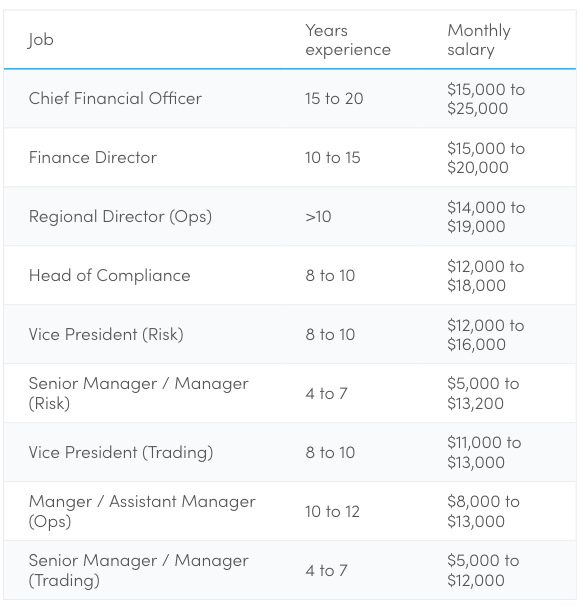 (For this table, we're looking only at the lower end of the average monthly salary). As you'd expect in qualifications-obsessed Singapore, most of the highest paying jobs here are for degree holders. However, there are a few jobs in which diploma holders might get paid better. If you've found yourself in one of the above professions and are congratulating yourself for being one of the most handsomely-paid people in Singapore, don't forget that you're making only a tiny fraction over the heads of state. The Singapore President's salary is about $1.5 million a year, which works out to about $130,000 a month. And the Prime Minister's salary is even higher at $2.2 million a year, or about $183,000 a month. Now that's two people who never have to eat cai png at the end of the month.